CFL bulbs have come a long way over the years to win consumers’ hearts and dollars, but they may now have another hurdle to jump. In the past, these energy-efficient models were shunned by many because they were expensive, flickered or gave off a harsh light. 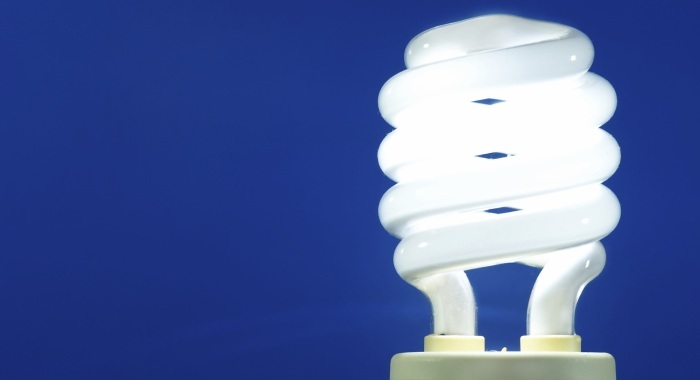 Technology has overcome these issues, but now a recent study has found CFLs give off harmful ultraviolet rays. Doctors at Stony Brook University in New York found that CFL bulbs produce significant levels of UVA and UVC emissions, which are harmful to human skin. This ultraviolet radiation can cause skin to age and burn and ultimately lead to skin cancer. The researchers bought bulbs from various retailers and measured two things about each one: the level of UV emissions and the structure of the phosphor coating. It was discovered that all the bulbs had cracks in their coating, allowing the radiation to leak into the surrounding environment. This radiation results in skin cell damage. Incandescent bulbs were also tested with no ill effects found. The findings seem to confirm results from a similar study conducted by the European Commission that revealed UV light from energy-saving lamps could aggravate certain skin conditions. As incandescent bulbs are being phased out in favor of more energy-efficient versions, namely CFLs, what are consumers to do? Do we ditch all our CFLs so we don’t get skin cancer? The issue is not that simple. First of all, according to industry standards, the UV radiation emissions from CFLs are low enough to be considered acceptable for the majority of people. Second of all, distance and exposure can greatly affect the amount of UV emissions you receive. It’s recommended that you keep CFL bulbs about 2 feet away at all times. If you use a lamp for close-up tasks, swap out the CFL for an LED, another kind of energy-efficient light. Also, use CFLs that are enclosed in glass – to look like a traditional light bulb – rather than the unenclosed spiral types. This glass filters the UV emissions. Another way to decrease exposure is to use CFLs in lamps that are fully enclosed in glass, rather than open on the bottom. As with any product on the market, consumers using CFLs need to be aware of their safety issues and take precautions. Employing a little common sense can allow you to continue to reap the energy-saving benefits of these bulbs.